Thanks!! I'd love to try to Mojito mix!! I would like to try the margarita one!!! The Mojito Mixer! The real ones have so much sugar, something like 5 tsp per drink. Fell in love with them when on vacay in Cuba and ended up with the worst tummy ache, from all the sugar. I've tried a few low cal versions but they have all been awful. Would really love to hear about this one. I would love to try all four :) But seriously I would like to try the Mojito. It is one with the fewest carbs. Thanks! I've got SEVERAL mixers at home from them. Got to meet the owner here in Atlanta where they're based out of. Great little company, all natural (somewhat paleo-ish) makes you feel a little better about drinking a margarita. They had me at MOJITO! I would love to try the Mojito. That looks awesome. Thanks so much for the great blog. You're recipes are awesome! Ooh, Mojito sounds amazing. I pinned it too :) Thanks for all your posts - I always look forward to reading them. Mojito Mix for me! Yum! So excited to try! this is so cool! i would love to try the margarita mix! I love margaritas! I would love to try the Margarita mix! I'm all about the strawberry margarita mix!! Woah, so awesome! I'd love to try the strawberry margarita or mojito! Both are favorites of mine! I'd LOVE to try the Margarita mixer!!! 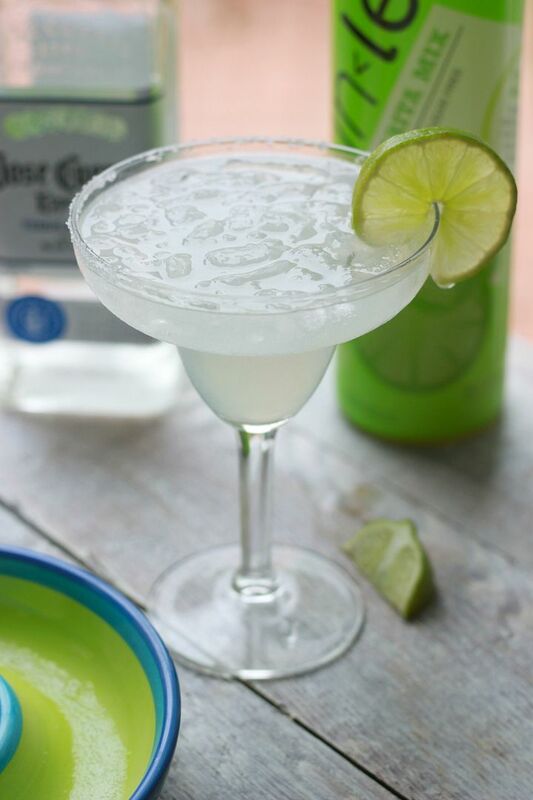 I love me a good strong margarita on a hot summer day! I pinned this recipe too! I don't do tequila. Ever. Again. But I'd be all over the Mojitos. Yum! I'd love to try the margarita mixer!! I would love to try the strawberry margarita mix :) We don't drink alcohol but before paleo we would get the mixes and "pretend"! Fertility and paleo diet = no alcohol :( not even wine :( Rant over. Would love to win! I would love to try the Mojitos mix, please. and Thank you! While they all sound delicious, the Strawberry Margarita would definitely be my pick. Thanks for sharing! Definitely the margarita mixer. Love love to make our own, but this would be nice fr just one quick one! Strawberry looks delicious! I have been looking for a low sugar mix!-Anna B.
I am so glad you shared this! Plain margarita sounds lovely to me. I also pinned it! Margarita mixer all the way- and add a splash of fresh squeezed orange juice- YUM! I love your site! Now *addicted* to coconut oil and almond meal. I'd definitely like to try the regular Margarita mix! I've been juicing my own limes and mixing that with tequila and agave for about 6 months now to avoid sugary and processed margarita mixers! I'd love to be able to have an all natural alternative that's just as good. The mint mojito looks good! I tend to stay away from them too, because of all the sugars, but I'd love to try these! yum! the margarita mixer would be top of my list. it's my favorite summer drink! the Strawberry margarita mix...YUMMM or just the plain margarita mix. Definitely delicious! I absolutely love your blog! Your kiddos are adorable. I'm also pinning this on my pinterest board. I'd like to try the margarita mix, yum. I'm excited to try them, thanks for sharing and the chance to win!! oh! And bonus! I am pinning it right now! I'd love the Mojito Mix! They all look good but I'd go with either the Mojito or the margarita. I've been making my own skinnys and would love a GOOD mix. The others that are out are just gross. Would like to try/win the original mix! Thanks!!! I have been making skinnys for years and would love a GOOD mixer. The ones that are out are just gross. Would like to try/win the original margarita mix. Thanks!!! Oh I would love the Sinless Margarita Mix. Yummm. I would love the Sinless Margarita Mix. I would love to win the Sinless Margarita mix! I would love to try the Srawberry Margarita Mix. Sounds yummy! Ok, I have GOT to try this! :) YUM! Yum! I would love to try the Sinless Margarita Mix. How perfect is that! Guilt free margaritas! I like!! I would definitely go with the mojito mix! The Marg mix, for sure!!! My roomie's 21st is coming up next week. This would be perfect! I'm a margarita girl through and through! I'd love to try the Sinless Sour Mix! Pinned this as well. :) Thanks! Sweet and sour mix for me!!!! I pinned this as well! The margarita mix looks yummy! I would love to try any of these, but definitely the strawberry margarita!! I also have T1 diabetes and find fruity drinks extra hard to deal with! This would make the fruity drink cravings much simpler to deal with. A strawberry margarita sounds so good! Id have to try that mix. The Margarita mix of course! 69 calls? Hard to beat that! Also, I pinned on my Pinterest page! What!! I want one! Or two! And I just pinned the recipe to Pinterest! Would love to try the Margarita Mix! Oh i want the margarita mix so badly!!! Mojito Mix would definitely help bring me out of the winter blues! Thanks so much for sharing this! I would love the regular margarita mix!!! The original Margarita mix sounds delicious!! Also I just started the paelo diet and love trying out the recipes you post! I'd love to try the sweet and sour mix! I love finding out about new companies like this, all natural and not full of crap! I would love the Mojito Mix! I will save it in anticipation of when I will have a fully-loaded cocktail again :) Or maybe have it virgin-style until then? yum, I would love the strawberry margarita mix! Those look so yummy!!!! I want to try the strawberry margarita mixer!! p.s. I made the cheesy cauliflower poppers and they are SO good! I have yet to try a marg mix that didn't overwhelm me with sugar... I'd love to try one of these! Would love to try the mojito! Today is my first time reading your blog and I'm so glad I did! I feel the same way about most low cal mixers and I never order the real thing because the calories are just reeeedic! I can't wait to try the Margarita! oh boy.. i would LOVE the regular margarita mix.. can't go wrong with the classic! Oh the plain ol' margarita for sure! Thanks for the great product introduction, I've been looking for a low calorie mix that wasn't sweetened with splenda or such, I'm not a fan of the stuff... These look great! Ooooooo, is just about all I can say. :) I think I'd go for the Sour Mix first to make a Caipirinha since one of its ingredients is straight up sugahh! :) I've already looked up where I can buy them, a trip to the next town is in order! No artificial sweeteners? I'm dying to try this! Strawberry margarita looks yummy!! The strawberry one looks deeelish! YUM! Margarita mix for me. I have recently been trying out tonnes of your recipes! I would love to try this too, especially since both you and your husband (that's the real test, haha) give it the thumbs up! (: Strawberry looks tasty! I pinned it, and would love to try the strawberry margarita!! Fun!